Thus… more choices = better. Research, however, shows a very different picture. Having some choice is better than having no choice at all. But there is a limit. As it turns out, having more choices isn’t always a good thing. In 2000, researchers Sheena Iyengar and Mark Lepper published a paper that’s come to be known as “The Jam Study.” The paper described the results of a social experiment. One day, shoppers at a supermarket saw a display table with 24 varieties of gourmet jam. On another day, shoppers at the same supermarket saw an identical display table, but this time with just 6 varieties of jam to choose from. On both days, shoppers who sampled the jam received a coupon for $1 off any variety from the table. When the results of the study were tallied, a remarkable trend emerged. The table with the larger display attracted more traffic. But when they went to checkout, shoppers who saw the large display were significantly less likely buy when compared to the group that saw the smaller display. In fact, the “large display” group was one tenth as likely as the “small display” group to buy. In other words, having a few choices is good. But having too much choice causes us to freeze up. Companies offering a 401(k) plan for employees see less participation as they add additional plan options. Seniors signing up for Medicare plans completed the process at lower rates when they were shown a higher number of options. Importantly, our tendency to freeze from choice overload is most common when we are faced with new choices, new contexts, or unfamiliar situations. If you’re a UI designer, it’s critical that you understand this. At cloudHQ, we offer a SaaS product that helps people integrate different cloud platforms. With our service, people can sync a Dropbox folder to a Google Drive folder, for example, or even a Dropbox folder to a Gmail label. Our sales model is to sign up people for a free trial. Like anyone doing free trials with a SaaS product, we hope that once a user experiences our product, they’ll like it enough to pay for it once the trial is over. It’s easy for us — the product creators — to go on and on about all the great things our product can do, and all the different options available to people who sign up for our service. The people who are considering a trial, however, aren’t experts in our service. Like the shopper trying to choose between 24 different types of jams, they are likely to freeze if we dump all our great features on them, all at once. When Steve Jobs returned to Apple in 1997, he cut the number of products in the company’s product roadmap by over 70%. It’s a perfect example of the effect choice overload can have on your potential customers. Product designers can easily fall into the trap of designing products that can “do anything,” if configured properly. At cloudHQ, we’ve decided to keep our offerings basic. We launched Gmail label sharing, which easily lets you share a Gmail label with someone else. Our other offerings are similar. We make it easy for customers to share documents and data — regardless of what platform they use. There will always be a need for technical admins to do some analytical thinking during setup of services like ours. We have no control over the services we integrate with. Whoever sets up our service will need to be technical enough to navigate those options. Even then, we do what we can to limit the configuration options. Our hope is that even technical admins will be able to navigate our system, without facing choice overload during the setup process. Once our service is set up, we’ve designed it to work automatically. To steal another Steve Jobs truism, “it just works,” without anyone having to think about it. That’s the experience we want for the users who use cloudHQ. 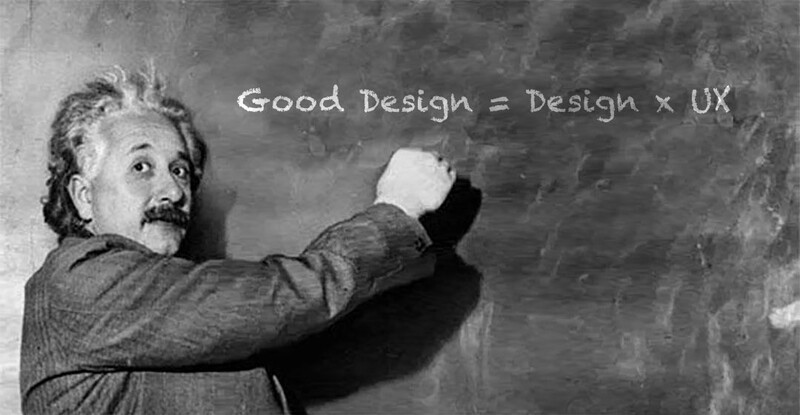 And that’s the experience we hope more UI designers will create as they design their own products and services. It’s an approach I believe will lead to better business results — both for product creators and for those who become users of their products and services. *For more on choice overload, see Barry Schwartz’ TED Talk or his book: The Paradox of Choice: Why Less Is More.